We’re looking for a Head of Product to bridge the gap between the founder’s vision and the company’s product(s). This role will define, build the organization and globally scale a brand new product which will fundamentally evolve how people communicate. We can only consider candidates who can effectively communicate in both Japanese and English (Business level or higher). Our team believes that technology can give voice to stories around the world. We empower to do what no startup has ever done – tell the stories you fall in love with and stay up watching at a scale that the industry has never seen. Our engineering team is a powerhouse made up of just four engineers with different cultural and developer backgrounds. You'll find their poetry to be just as good as their trigonometry. We're not all about algorithms or trending frameworks. We make room for randomness and non-linear ways of thinking because behavior, cultures, and peoples cannot be evaluated in mathematical terms. We collaborate with our digital design team (Zeppelin, which is quite big) and focus the majority of our time on FEELIT (which is by the way is Zeppelin's first product and startup). When we're not chasing deadlines, we grab our cameras and explore the great outdoors or the cities. When we're not being engineers we cook, garden, or just stroll through Harajuku or Shibuya. Want to get notified about new jobs at ZEPPELIN Inc.? 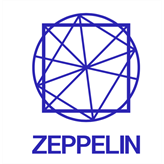 Head of Product at ZEPPELIN Inc.